I just get back from doing some banking stuff to reshuffle my financial plan and took the liberty to resolve my financial curiosity. 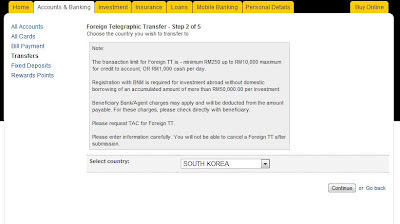 Personally, I am comfortable using Maybank and Maybank2U for online banking and they do most of the job just fine. No issues from my end. The method and fees differs between banks so you might have to confirm it with your bank. If I remember correctly, a few readers have asked me this question before as they have to wire money for accommodation's deposit after they book their lodging. I normally pay for the booking deposit via credit card instead of doing wired transaction or TT (Telegraphic Transfer) as it is easier and faster. 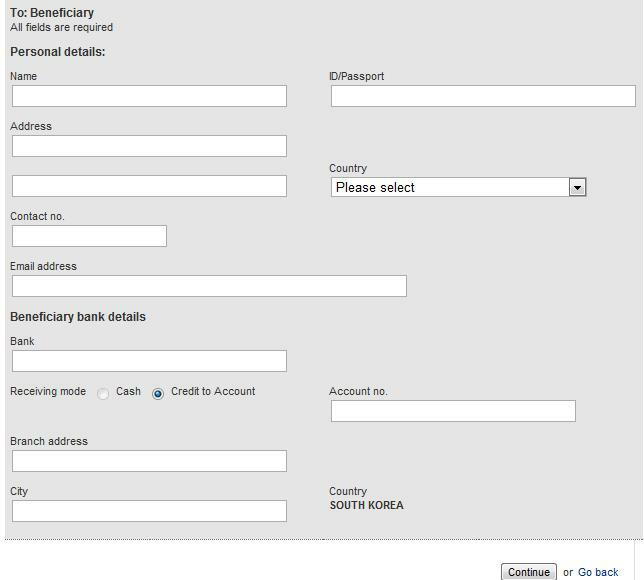 But now, I have to use this method to pay Sogang University's tuition fees. 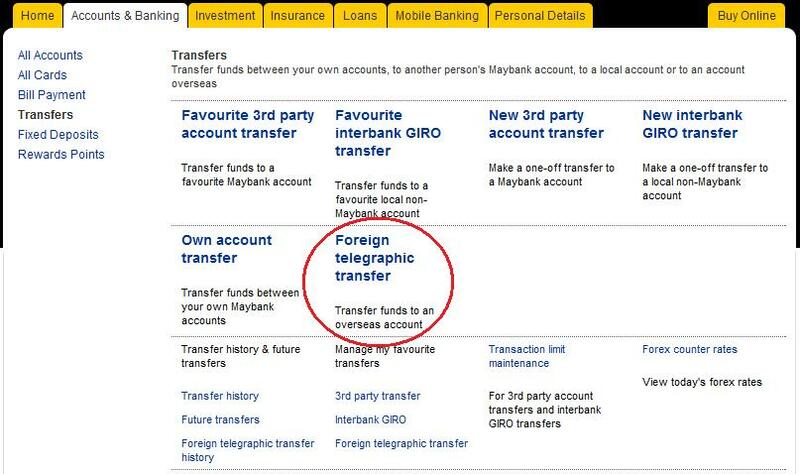 What is wired transaction / TT (Telegraphic Transfer)? How to wire money / TT (Telegraphic Transfer)? to Korea? The Maybank's banker explained to me that you could do via the counter or Maybank2U. However the charge differs. Maybank2U charges MYR10.00 however via the counter will be slightly expensive; MYR25. The other party will receive the wired amount in 3 business days. 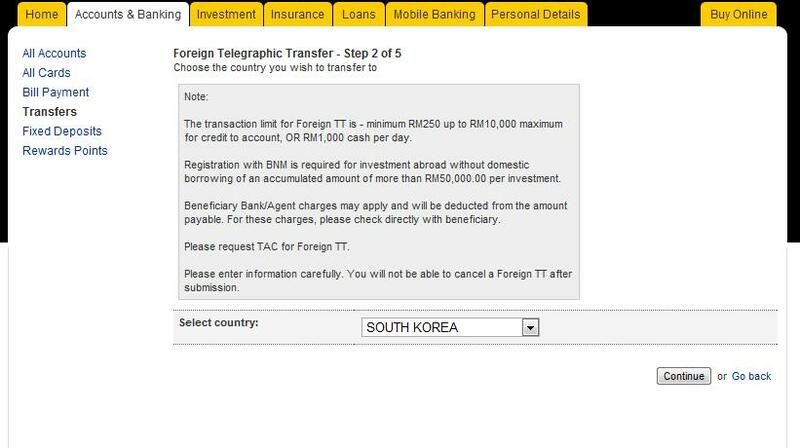 What information you need to do wire transaction / TT (Telegraphic Transfer)? Application Name and Passport number. 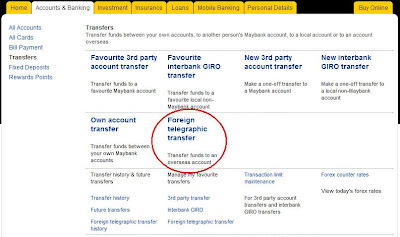 How to do TT (Telegraphic Transfer) via Maybank2U? 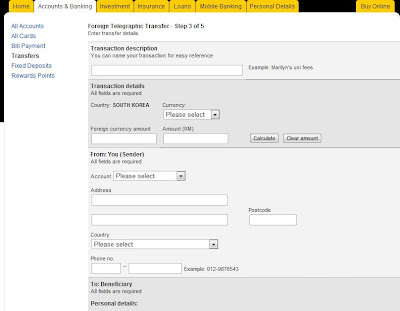 Home > Accounts & Banking > Funds Transfers > Foreign Telegraphic Transfer or follow this link. 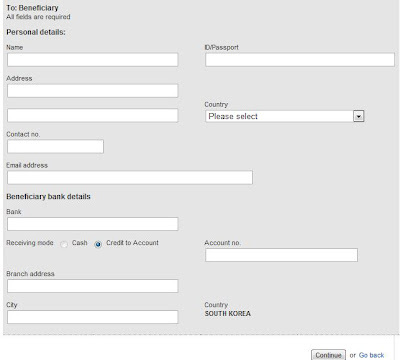 Anyone working with the bank or any of you have done TT or wired transaction to Korea before? Please share your thoughts and experience.